1. How to Find Your Niche by Dedicated2Life. 2. A Bloggers Guide to Finding Your Niche by BlogTrends. 3. How to Find Your Niche by Crafterminds. 4. Six Tips for Finding Your Blog Niche by Independent Fashion Bloggers. 5. Finding Your Blog's Niche by Best Blogging Advice Online. 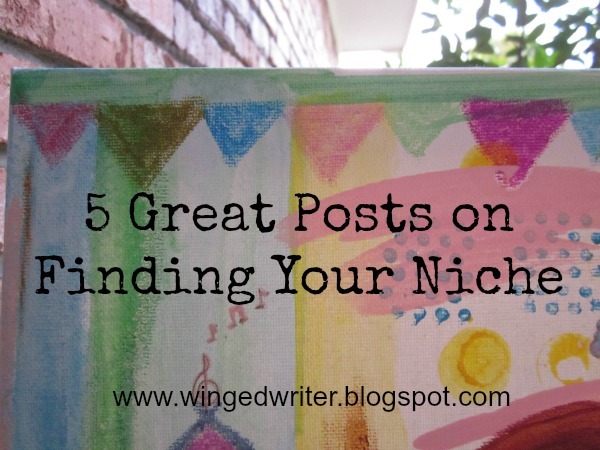 Do you know what your blogging niche is? Or are you still discovering it? What are the niche blogs you read (DIY, Craft, Writing, Parenting, Photography...)? Catherine, Thanks so much for these links. I'm still working on the other list you had on blogging.